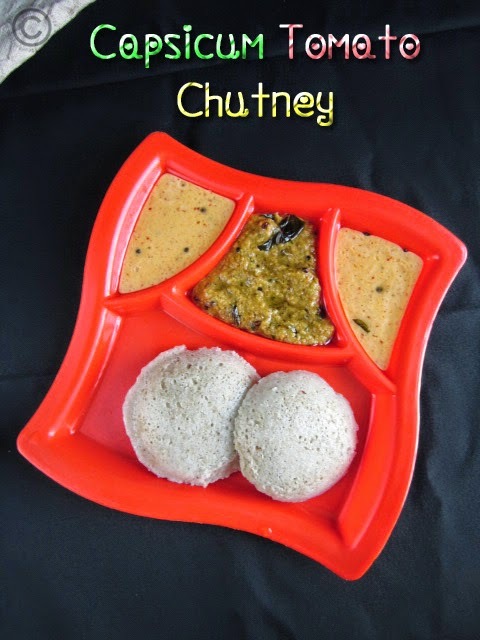 Hi friends, every time we will make different chutney varieties for our breakfast or dinner. Nowadays, am very interest and love to taste capsicum flavors. 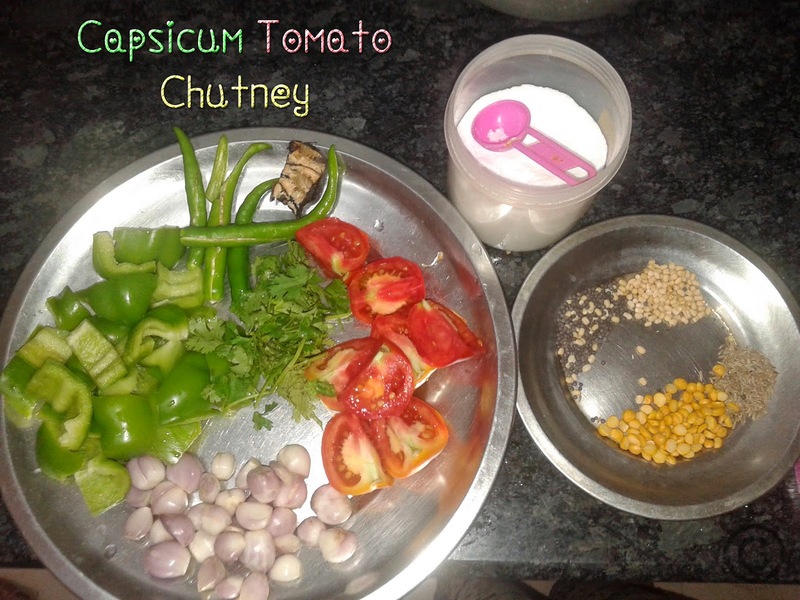 So here I have tried capsicum tomato chutney and I have shared capsicum chutney with peanuts which also give unique taste. Heat oil in pan; add cumin seeds, Bengal gram wait for golden brown. Add shallots and chillies sauté it till translucent, add capsicum and sauté it till turns tender. 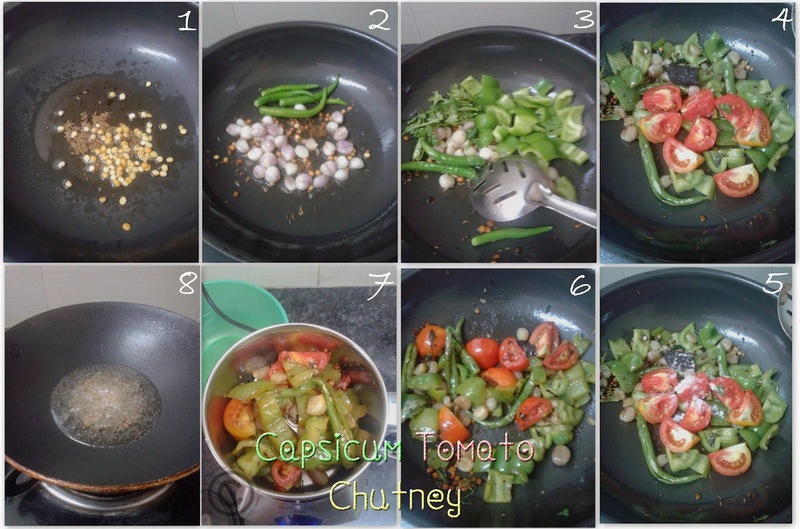 Now add tomatoes, tamarind and salt sauté it till the tomato turns mushy. Cool it completely and then blend it into smooth paste. Transfer into a bowl. 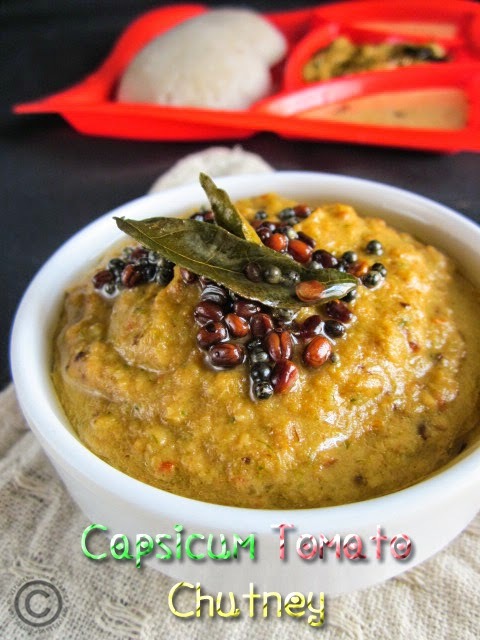 Do temper with oil, mustard, urad dal and curry leaves and pour it into the chutney bowl. 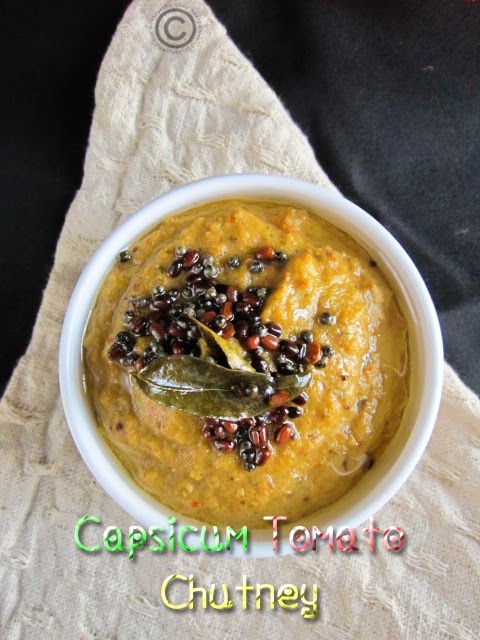 Mix it and serve hot with cholam/Jowar/Sorghum idli..
You can add onion instead of shallots. 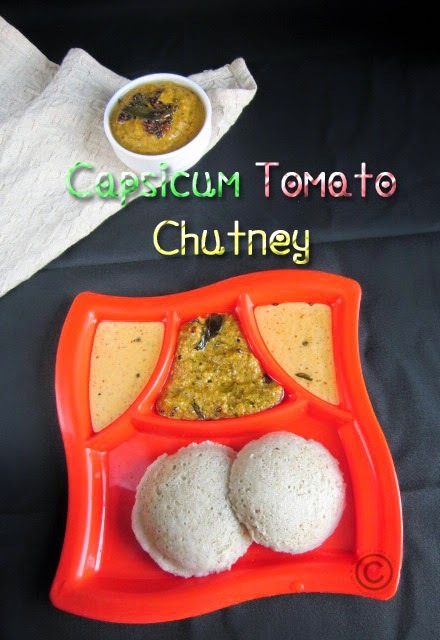 You can add colored capsicum too. 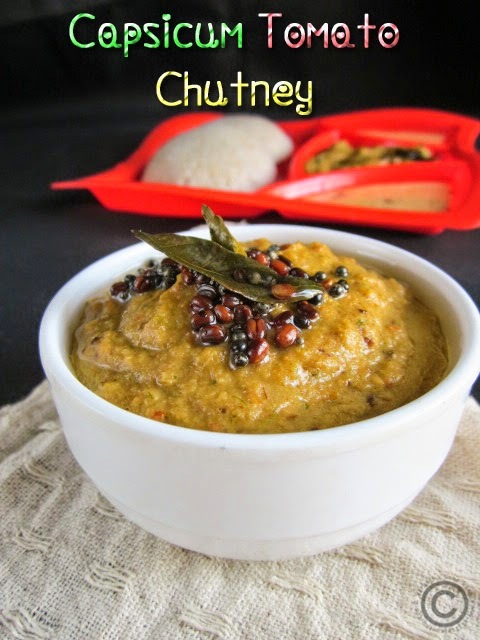 I can have this chutney with some crispy dosas, fantastic chutney.